If, at this point, you are only mildly curious about this e-cig stuff and would like to sample it at the lowest possible cost, consider one of the inexpensive disposable 510 clones. They’re called “disposable” and their expected life span is less than a standard 510 electronic cigarette, but the battery can be recharged several times and the atomizer probably will last awhile. [Include some e-liquid in your order to take advantage of the battery’s rechargeability.] I view them more as introductory models, e.g., they also are an excellent choice to give to a smoker friend whom you are trying to convert to vaping. 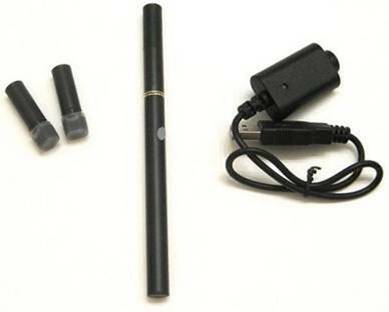 The $4.99 REDI is a good example of a truly disposable electronic cigarette. It cannot be recharged or fitted with a fresh cartomizer. Vape it ’til it’s done and toss it. It’s very similar to the Blu and Mistic disposables that can be found in many stores. They make a cheap way to try out an electronic cigarette, but provide a very poor sample of what ecig technology can actually deliver. The $17 Hello 010 (e.g., from Happy Vaper [10% discount code: VGHV10]) manual switch 510 clone comes with one 300 mAh battery, charger, and atomizer, and two filled cartridges. This battery is compatible with other 510 models on the market. Otherwise, jump in with both feet and order one of the following outstanding, full-fledged electronic cigarette models. Parts IV and V of The Wonderful World of Vaping lead you through a process of selecting among scores (make that hundreds) of models in seven categories. If all that sounds just a bit too analytical and time-consuming (you are more the “executive” type), go buy one of the following models. 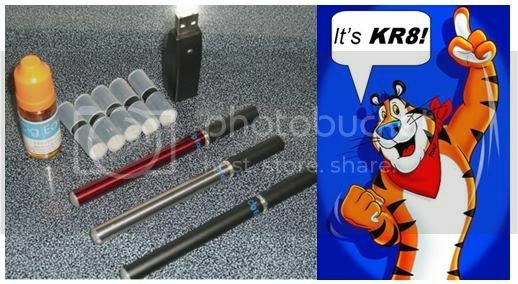 If you want the simplest, most convenient electronic cigarette model, go buy a Kr8 (KR808D-1) for around $40. No messing with e-liquid required (although you can, if you want to). You simply charge your battery, screw on a pre-filled cartomizer (in any of scores of flavors and several nicotine levels) and vape. It was my first e-cig, so therefore it must be the best one for you. 😉 Seriously, it’s not perfect for everyone, but it is a sensible electronic cigarette choice for a newbie. It has strong throat hit, flavor, 280 mAh battery life, and 3.7V; and decent vapor. And the batteries (I recommend automatic) and cartomizers each can be used with other models. 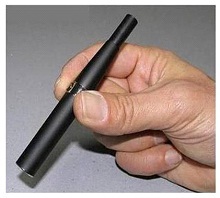 For example, one of my favorite e-cig setups was a penstyle atomizer with adapter on a Kr8 battery. Many people use Kr8 cartos on mods. You’ll want to make sure to get at least two batteries so that you can charge one while using the other. Add in a PCC (for carrying a few extra cartomizers and for charging your backup battery on the go), some extra prefilled cartos and/or e-liquid, and you’re off and running. 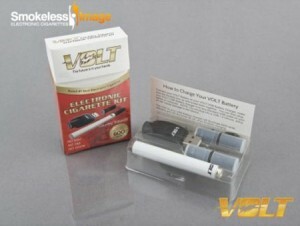 Smokeless Image is home to the Volt electronic cigarette. At $44.95 for a two battery kit (less 10% with the code TRYVOLT08), the Volt comes in at the low end of a price comparison. Quality and service are first rate, however and the flavor of the cartomizers is excellent. The G6 kit from Halo is another economical starting point that many people love. It also comes in at $44.95 for a two battery kit. 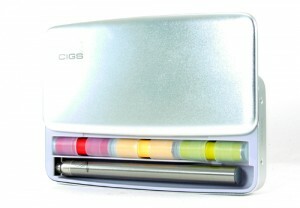 If packaging and style mean alot to you, then V2 Cigs is worth a look. The site is impressive and so is the packaging of the product. Their Vapor Couture line adds further style with some beautiful ecig colors and tips. Flavor is not left out, however and V2 carts are also wonderful to vape. Other U.S. electronic cigarette suppliers (some of which are low cost and/or provide free shipping) include CigEasy (Easy), Cigtechs (KR808D), Digital Ciggz (KR808D-1), Domestic Vapor (KR808D-1), GoodProphets (VapoRite), LeCig (D1), LiteCigUSA (KR808D-1), Mist-Stix (Mist-Stix), MyVaporStore (KR808D1), PureSmoker (Ace), StrictlyEJuice (KR808d-1, parts only) The House of Vapor (KR808D-1), Vapor Junction (KR808D-1), VaporKings (KR808D-1), and VaporNine (Nebula). Outside the U.S.: Heaven Gifts and Health Cabin (China); Liberty Flights [10% discount code: VGLF10] (U.K.), and iVapour elixir (Creator, U.K.). If you don’t want to do a lot of research, but still would like to have a choice: in addition, consider a Fat Batt based on the Joye 510 atomizer connection. The original 510 batteries were relatively weak and had a short charge life, but the performance of the 510 atomizer made it popular. Now the 510 fitting is used in most APVs and mods as well as the eGo style Fat Batts. The 510 atty generates excellent vapor and scores well on all the evaluation factors, as do many of the cartomizers, clearomizers and tanks that have been developed over the years for the 510 connection. The fat batts more than cancel out the one weakness of the basic 510 model (puffs per battery charge) with their 650-1300 mAh manual switch batteries. And, because of that extended battery life, you won’t need a PCC or PT, so the total price is no more than the Kr8. In Part II of the WWV, several fat batt models were discussed. The market has exploded since that writing and the various styles, capacities and voltages can get a little overwhelming. The first and most popular (but most expensive) is the 650 mAh 3.4V Joye eGO, But there many “knock-offs” have followed. Some of these are just cheap immitations, but some are better than the original. Retail price is $74, but look for sales at prices around $60 that sometimes are available from suppliers like Smoktek, LiteCigUSA, Cignot, NHaler, or Heaven Gifts (China). One recommendation we will make when it comes to Fat Batt or eGo style kits is to stay away from atomizers and stick with cartomizers or clearomizers. The atomizer and cartridge systems are simply not as good as the latest cartomizers and clearomizers and are a lot more trouble to keep functioning properly. There has been a very significant advancement in the Fat Batt category that we’ll cover in more detail on the page dedicated to eGo style devices, and that is the variable voltage eGo Twist. It needs to be mentioned here, because several vendors are now offering kits built around the Twist that are great for beginners, but ensure satisfaction well into the experienced vaper stage. The $55.25 (with coupon 150ffvape Intermediate Variable Voltage kit from Viper Vapes is a good example and even offers a choice of clearomizers. Smoktek has a single battery Twist kit for only $34.95 as well. I’m blown away by the amount of great info posted here. I had a pack-a-day habit for the better part of 45 years. August 2011 was stressful, but I was so sick of the smell of tobacco, that I finally decided to plunge into vapor. I’m glad I did. The fresh paint is no longer yellowing in a year. The curtains look clean and white. I don’t smell like the bottom of an ashtray. Tho I started out with several different kinds of e-cigs, I eventually got to Vapor 4 Life and have been using their products since December of 2011. They’ve got a slammin’ espresso flavor and some great naturals. I know vapes aren’t touted as a cessation tool, but they’ve done the once impossible, offering a suitable substitute for analogs. .
I’ve had a number of tests done recently. For age and history, I’m pleased to report that I oxygenate very well. I feel better overall than I did when I first started vaping, I’m able to read without losing my breath, walk without stopping, etc., etc. This is a wonderful blog. Keep up the good work and the balanced reporting. I’ve been vaping for for years, started with KR8s, and have never seen any good reason to switch. I’ve arrived at — through expeimentation and trying lots of different things over time — at mostly using Vapor4Life variable volt batteries, clearomizers from V2 cigs and juice from Vaporrenu (totally customizable, and great prices). Anyway, just wanted to compliment you, a lot of good understandable information for beginners and experienced users alike. Hi. I am very new to this. I got one of the disposable blu cigs a couple weeks ago and I like the slim look and convenience of not having to push a button. Then I got a different brand that is rechargeable called Dream Vapor. I have to refill it and that is annoying. Plus it leaks and has gotten clogged so I get a lovely burst of hot menthol on my lips. No bueno. It is also big and bulky and looks ridiculous. And I don’t like having to push a button. I’ve been trying to research and it’s pretty overwhelming. I used to smoke but quit when we started trying to get pregnant…well shortly(ish) after. I had quit for 7 years but started back a year ago. I’m a stay at home mom of a 5 year old head strong girl and 3 year old boy with autism. Stress happens and there ya go. Hi Don, I’m also a newbie and all these numbers and terms are a bit overwhelming. I just want a strong throat hit with a low level of nicotine. What would you suggest? Hi Stacey. Nicotine is a major component of throat hit, but you can still get satisfying results with higher voltage and the right juice. I would recommend trying a variable voltage device. The eGo Twist is a good place to start, and the VMAX, ZMAX or Provari are great places to end up if your budget allows. These will allow you to get warmer vapor, giving you more throat hit. A higher PG level will also help. You might want to try an 80%PG/20%VG mix and see how that works for you. I have a KR808D CigEasy’s $50 Elite 808. It is my first e-cig purchased after days of research that made my head spin. I thought it would be compatable to some other cartomizers but it seems the carts I need are female and the others I’ve looked at are male. Right? P.S. I’m willing to do some DIY, but not if it’s technological, like making my own mods or tanks. DIY can be as simple as combining two off-the-shelf e-liquids (which I do frequently to get my desired nicotine strength) or entail mixing base PG and/or VG with concentrated nicotine and flavoring. Even the latter is not “technological.” Check out places like DIY Flavor Shack and One Stop DIY Shop for supplies. Hi! This is for Don and I may be too wordy, but I’m frustrated and conFUSED, and you’ve had the clearest and best info I’ve found so far, Don, so thank you. I’ve been on ecig forum for a few months, posting a little, and learning a good deal. But I am an OLD FART, not great on the computer, AWful with technology, and between menopause and medical issues that cause “brain fuzz,” easily confused. (And Hubby’s even worse — ‘nam vet with PTSD.) We’ve been using K808d-1’s, K808d-1 “Monsters,” and 510 compatibles from Vapor9 since we started and I’m not totally satisfied with the results. First, the chargers and adaptors seem somewhat unreliable. Second, the batts seem spastic and hold a charge one time, not the next. I’d like to upgrade our hardware and I’m thinking mods with replaceable batteries, but I’m just lost. What I want is something larger capacity (batt and juice), reliable and fairly east to use, not really caring about the size, shape, etc. I’m okay with cartos except those we’ve had seemed poor quality thusfar — seems very quickly they don’t work. The ones we’ve liked best are clear tubes that hold about a ml of liquid (CE2), but the little tube on the included syringe bends too easily, so I have to use a needle which seems to enlarge the tiny tunnel where you inject the liquid and then they leak! If I use a smaller gauge needle, the liquid won’t pass thru it. And a tiny bit too much twist when screwing on or off and they come apart. We’ve also recently tried NJoy (not sure of that model) and it seems to work quite well so far, but the wall plug adaptor seems not to work — had to plug it in my computer to charge it. So, bottom line, I’m an idiot about this and what I really want is for someone — you or someone like you — to just TELL me, buy this batt from this dealer with these tanks or cartos from this dealer, etc. And is there a dif in the chargers and adaptors or are they pretty much all the same. If so, which ones should I get? I don’t want to spend our life savings, but I’d rather pay more up front for a better, longer lasting product than keep on with $20 here and $20 there. Last, I think you’re hiLARious and if you think “differently from most,” then we must, too, cause we like the way you think! lol Hubby and I are quite sure we’re a bit strange, tho, so take that with a grain of salt! Ha! Thanks a MILLION for all the help you’ve already given and for just a liiiiitle bit more, please? Donna, I’m glad to hear that you are sticking with it and will be happy to offer some options for you. The easiest way to take care of your battery problems is to move up to an eGo style device. Any of the vendors you see on this site earn our recommendation as a good place to buy one. 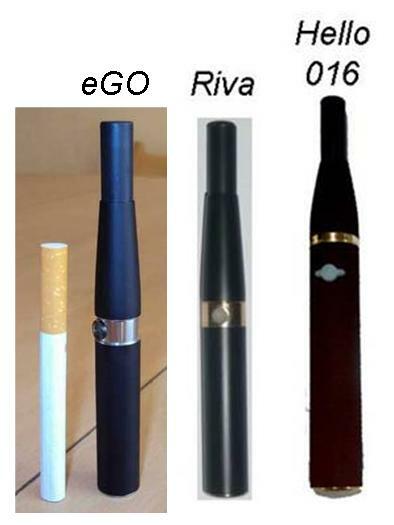 If you don’t mind a mod type device, then the eGo 18650, Provari or Lavatube will offer even longer usage between charges. In either case, add some 1.7ohm Smoketek or 2.0ohm Boge cartomizers to your order and you will be good to go. These cartos will allow you to simply drip onto the filler, eliminating the need for a syringe and you’ll probably get good performance for a week or so before you want to replace it. Hope this helps! Hi, I’ve been using E-lites E200 rechargables. I’ve found at £19.99 for 5 cartridges they are expensive as I can easily use 1 in a day. Can I buy liquid and refill this model? I’ve already got 3 batteries so it’s cheapest option if possible! We are not familiar with this model. It is likely the E9 aka “D-2” model (which we think is inferior to the similar-appearing KR808D-1). You probably will be able to fill the cartomizers (what they call “e-tips”) with e-liquid, e.g., by dripping into the hole in the battery end. However, I recommend that you purchase a D2 battery-to-D1 cartomizer adapter (e.g., $6 from LeCig) and use your batteries with the far superior second generation KR808D-1 cartomizers, e.g., the VOLT from Smokeless Image – either prefilled (with pretty good-tasting e-liquid) or blank (for filling with your own e-liquid). The least expensive (and good quality) fat batt is the Riva-510, e.g., from Liberty-Flights: $30-36, depending on battery features and atomizers/cartomizers included in the starter kit. Although wider than the KR808D-1 model, the Riva has twice the mAh and the same 3.7V (which is higher than most fat batts) and provides compatibility with a wider range of atomizers, cartomizers, and accessories. However, unlike the VOLT and other KR808D-1’s, the cartomizers are not prefilled. Both Smokeless Image and Liberty-Flights also sell e-liquid. Can i buy E juice from other mfgs other than the one I purchased my E Cig from, without hurting my e cig. What E Juice out there tastes like Marlboro Lights? How do i know how many puffs equal 1 analog? No apology needed! That’s what we’re here for. Hi Don, I appreciate all you have to offer, thank you for your time and wonderful contribution. I’m curious though, are you still using your DaBoomMod as your vape of choice? Do you have a preference of 801 atty and 808 battery? I would like to try this combination but of course, I want the best. Is there a vendor that sells them all? No, I no longer use what I teasingly called the “DaBoomMod.” I’ve moved on to cartomizers on fat batts and mods (real mods). My favorite cartomizers are the Smok Tech Dual Coils (which I see that you sell on your SmokTek website) and LR 801 (both Boge from LiteCigUSA and EastMall from Vapor Junction). For the 801’s, I use 510-to801 adapters from Good Prophets. My mods are the 14650 and 18650 NoEgo’s from Jazz CartoPipe (essentially the same as the e-Power‘s that you sell, but without the batts and charger, which I already had). Fat batts include the eGo-T (650 and 1000 mAh), 1100 mAh KGO, and 1300 mAh Echo (which I see you also sell). Great information Don. AS a newbie to electronic cigarette vapping I for one enjoyed this valuable info. The first analog I ever tried was a Clove Sampoerna Extra. Trying to recreate so as I drop my nicotine levels, I can enjoy the same teenage flavor that started It all. Since Cloves have been outlawed in the US, anyone here know of a mix that might be close? Many e-liquid suppliers carry a clove flavor. I see that jlarsen has recently praised the Vanilla Clove from Vapors Etc. (which also carries simply Clove flavor). Tasty Vapor’s Kretek reminds dmazyn of Djarum Specials. What would be the best option for a current analog smoker who needs to quit nicotine right away for a surgery? I am on week 3 of Chantix and am struggling. I have to pass a urine test on 3/1 and need to have no traces of nicotine in my body. I normally analog Native Light 100’s… I need the best e-cig with out the nicotine. HELP! Kari, I can tell you what option is not the best: e-cigarettes. They are not smoking cessation or nicotine replacement devices. They are a healthier (and much more pleasurable) way to satisfy nicotine craving and the smoking habit. Sorry. Hi Kari, I hope your procedure went well as I know this is past the date. I am writing this in rebuttal to Don. I DO feel that the E-Cig is a useful smoking cessation product.. IF you are using the 0 nicotine level E-Juice. Both my Husband and I are 1 and 1/2 Months Analog free. When we first started we used fluid with nicotine, but went down to that with 0. I just felt the need to post this for other readers. Thanks for sharing your successful nicotine elimination experience, Cherie! I know that some people have been able to cut back all the way to zero with vaping. Most, however, do not. And it certainly isn’t a quick fix that Kari was asking for. Quitting analogs? Definitely! I never looked back after using my first e-cig (and I smoked for over 40 years). Hi Don, I’m a newbie and I am so confused by all the different types of e-cigs! what do you think is the best/easy e cig to buy? Thank you for your help! how much is the cheapest, but strongest menthol type? i would totally like to quit my ciggarett habit because of my future health, thanks let me know ya,ll. This article is about the best e-cig hardware for a new vaper. As you see, I recommend either the KR808D-1 or the fat batt (various, virtually identical models), pointing out the pros and cons of each. CigEasy is one of my favorite low-cost KR808D-1 suppliers. Their two-battery kit is $40. Liberty-Flights has a great deal on the 750 mAh Riva-510 “LITE BUNDLE” fat batt: $30 after clicking the 20% off Discount” at the top of the screen. However, your question really relates to the software, i.e., the e-liquid that is vaporized by the hardware. 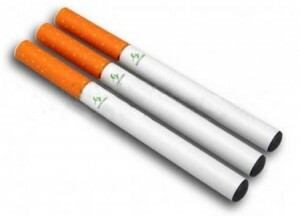 Menthol flavor is available from almost every supplier, including those two. It can be as strong (in nicotine level) as you like. Vapor4Life happens to carry many different variations on Menthol (both prefilled in KR808D-1 cartomizers and in liquid form) at low prices, e.g., $12.50 for a 30 ml bottle. For more about the hardware and software of vaping, read the first three parts of my WWV V2. 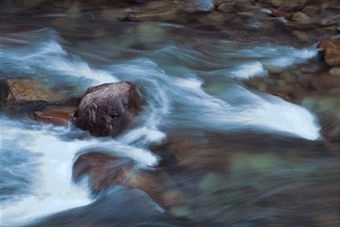 interesting……….informative………as a prospective newbee but waiting on an order placed…………………thanks.